The SAFE Facilities Team. We could sing their praises every single day and it still wouldn’t be enough to convey our love for these people. 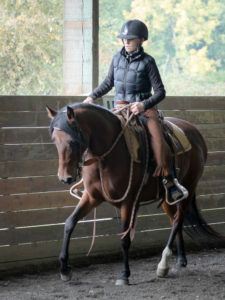 SAFE cares for its rescue horses on an 11 acre equestrian facility in Redmond WA. We moved here in February 2017 from a much, much smaller farm. Now if you’ve ever visited Safe Harbor Stables, you know that this is a lovely place, with large riding arenas, lots of turnout, and 30 stalls. Bordered by the tall trees of Farrel‐McWhirter Park to the east, and two large farms to the north and west, this is truly an idyllic spot. As soon as we laid eyes on the place, we wanted desperately to call it our home. So provided we could afford the lease, we were ready to agree to just about anything in order for the deal to go through. So as part of the lease agreement with the owners of the property, we accepted full responsibility for any and all maintenance and upgrades needed. It seemed like a small price to pay for the equestrian property of our dreams. And it was: this is a perfect home for us! However, there was a fair amount of deferred maintenance on the property, and a LOT of cleanup was necessary to bring it up to our standards. But in time, and with many dump runs, things began to take shape. By April of 2017, we were ready to show off our new home to our supporters. And we’ve never looked back. But while 2017 was a year of cleanup and fix‐up, it was also a year of adventure and discovery as we got to see our home in all different seasons and all different weather. And so 2018 became the year of improvements. And while the majority of these improvements were in some way related to water and how to protect ourselves from it, we finished the year feeling like we had accomplished an incredible amount of work. 2) of course three new spigots means trenching and piping to get the water where we need it, a major undertaking! 10) the basement of the house, truly a horrible place, was renovated and made into a lovely office area for the staff to work in! That’s a pretty impressive list, and it only represents a portion of the work that was done in 2018. Running a farm of this size is HARD. Horses are destructive. There is always something that needs to be done, yesterday. So it is with a tremendous sense of awe and wonder that I try to begin to thank the many people involved with facilities last year. First, we must recognize the leadership and determination brought to us by the incredible Jeanne Stine. As Facilities Manager, Jeanne has literally transformed Safe Harbor Stables into a home we are all SO proud of. Jeanne came to SAFE a few years ago, a retired hospice nurse with dreams of owning a “hobby farm.” She took on the role of Facilities Manager with an attitude that could have been described as doubtful, but our faith in her never wavered. Today, she is a woman who strides through Home Depot like she owns the place, who charms truck drivers and contractors into submission without even trying. She inspires all of us to try harder. 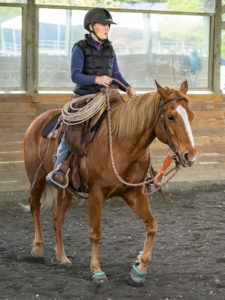 Whether she’s leading a build, ambushing a wasps’ nest in the dark, or zipping around in the Mule or on the mower, this two‐time SAFE Volunteer of the Year is one in a million. Thank you, Jeanne! If you saw Jeanne at Safe Harbor last year, chances are you saw her two best buddies right there with her. 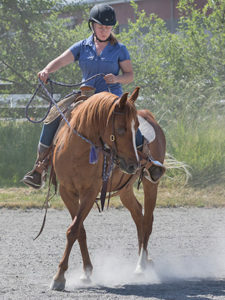 Lori and Caren both start their days at SAFE caring for the horses, but once everyone is outside and the chores are done, they team up with Jeanne to get things done. If it was broken, you could bet that our dream team already had plans to get it fixed. There were a lot of volunteers who joined their Facilities Team and came out to do projects and repairs, including Ron, George, Warren, Dave, Jackie, Candi, Laura, Blair, Leslie, Bear, Brandee, Lexee, Calan, Kit, and Chris. Special thanks to our Work Party magician Heather, whose planning and organizing skills made it possible for several area businesses to come out and do “day of caring” type work parties and give back to SAFE. And to everyone who came to a work party to lend a hand, we thank you SO MUCH! You’ve made Safe Harbor a better place for our horses and our volunteers. We are so grateful to you all! One last honorable mention to someone who doesn’t want thanks but deserves a lion’s share of it: my dad, Robert Hammond. Bob dedicated a LOT of Sundays to make the trip over from Poulsbo and work on building projects at SAFE. He has saved us literally THOUSANDS of dollars that it would have cost had we hired contractors to renovate the house at SAFE. Thank you, Dad, for lending us your mad skills at just about anything having to do with building and renovating houses. Your work will live on! Are you someone who enjoys power tools or repair projects? SAFE needs you on the Facilities Team for 2019! Start by filling out our volunteer application and then the sky’s the limit. Or rather the length of your ladder is the limit. Either way, come join us! !